Whether you are an SEO Pro or a Guru in Training, you probably have a website that you want to rank higher in Google SERPs (Search Engine Results Pages). The first thing you need to do, in 2018, is to conduct a comprehensive SEO Audit on your website. You need to analyze all of all the factors that affect the ranking of a website before you can make it better. A thorough SEO audit can help you with future proofs of your SEO as well as helping your website rank faster than competing sites. Remember that each ranking factor plays a separate role. 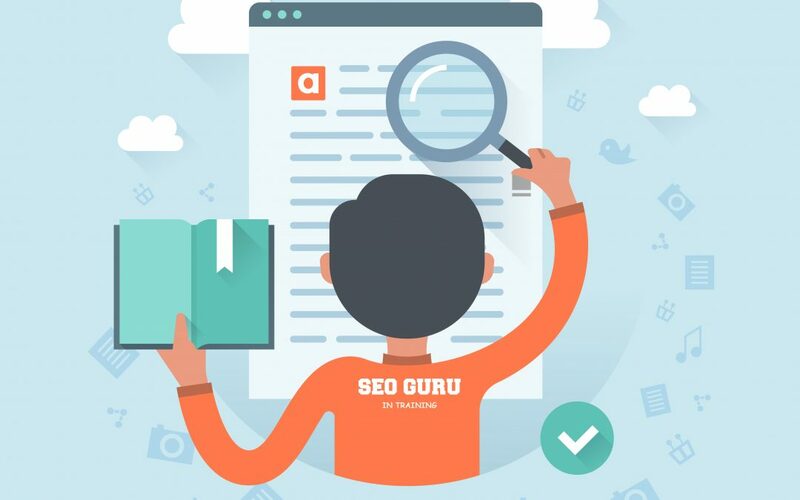 Not being able to find a place online that lists everything needed to complete an SEO audit and analysis, I created this checklist and guide of steps to follow when completing an SEO audit. Many SEO ranking factors go into a site’s audit and the optimization of your website, so it speeds up the ranking. To give your website the best chances at rankings, please don’t skip this step. Correctly completing an SEO audit and analysis will take a lot of practice, as well as insights and access to all of the required tools. I put this post together for you, listing, step by step and in detail, everything that is required for a high-level SEO audit. At the end of this comprehensive guide, there are some excellent SEO Audit Templates and brief Audit reports that you can download. I also include my over-the-shoulder audits for some sites and past clients, which are invaluable, as they will train you while you watch real, live examples. If you want to download this entire guide, there is a link at the end of this post. Where other would charge between $100 and $500 for this information, I am giving this to you free of charge. Today is your lucky day! So, if you’re looking for some amazing SEO stuff, read and learn this guide until the end! If you are not the type to get your hands dirty, leave it to us and we will put our gloves on, making sure that every process is handled in a proper working and efficient manner. As for this post, think of it as a thorough checklist, detailing each item you should look over when performing an SEO audit. Now, let’s get started! What is your site’s “Quality Score”? A complete SEO audit will give you a better understanding of how your site stands up against competing sites. The days of using automated SEO tools and creating a site with garbage content are gone. It doesn’t work that way anymore. Understanding not only why your site ranks but where it ranks is essential. SEOs need a lot more analytical work now, and you can’t skip an audit if you want to get rankings for your target keywords that are faster and more effective. Data you will receive from your high-level SEO audit is priceless, as it will allow your site to rank faster. When you play the SEO, each action is backed by science and will multiply the ranking gains your site will receive. You will no longer waste your time completing steps that won’t help and don’t matter in ranking your site. If you are new to SEO, here’s a quick note on what you need to know about Google’s new ranking factors. This new algorithm, dealing with AI, a part of Google Search is called “RankBrain” and is similar to other algorithms such as Panda and Penguin, but it is built directly into the core search algorithm. It’s important to point out that the AI is trained by actual, real users. They use their engines and interact with your website. At the very core, it is the model for ranking sites and moving forward. Google’s ability to anonymously mass track users are used with AI’s recent advances as well as advances in deep learning. This document’s purpose is not to explain the specifics on how this is done, but instead what is needed from you to ensure your site will outrank other sites in your category or niche for your chosen target keywords. The “quality score” which Google assigns to your website is the primary factor used to rank sites. A “Quality Score” metric gets assigned through the “entity database” Google gives to each website created. The site’s evaluation, overall, makes up the metric. The better quality score your site receives, the easier a higher rank will be to achieve for it. Remembering that the Google AI tracks real user behavior and is using that as a quality signal, one thing we are trying to avoid is the user visiting our site and promptly clicks the back button, taking them back to Google’s search engine. This happening would indicate that our site did not have the information the user was looking for. How does the content on your site line up to competing sites, as compared to others? Do you know the Click Through Rate on your site when you rank in the SERPs? You need to, and you also need to know what your competitions CTR is. How are users interacting and behaving when they visit your site? What is your bounce rate? How long are they on the page? What is the quality of your backlinks? What is their relevance? How natural-looking are they? What is their link velocity? That said, lets now go through a step by step checklist of items that go into a thorough SEO audit check. While these may be some of the top ranking factors most used, it should be noted that within every niche, each factor has their benchmarks and baselines. It is expected to perform a close examination of what sites competing with yours are doing in your niche. The sites further down the ranks will give you a clear picture of what not to do. So, compare the data between the top sites with the ones near the 100 spot. At the beginning of your SEO audit, the following items need to be assessed. As you dig deeper into the other element, these items are related to the overall larger website elements to help you achieve a bird’s eye view of your audit. Registered sites, which have not been dropped to expiration, have more of domain age, therefore giving them more established trust in the eyes of Google. Sites that have aged more gain that trust if all other site metrics are healthy, both on and off-page, and they haven’t been spammed for having bad SEO links done on them. No matter the age of a website, once a site is spammed, it can never gain back the original level of trust from Google’s point of view again. In this sense, age is not a factor that will give your site any advantages. From an SEO perspective, a spammed site that has gained an algorithmic or manual penalty is useless to rank. A domain that has been dropped and not renewed, it loses its age when it does get re-registered. At the time of re-registering your site with the proper set-up, you can gain back the backlink power, but you will lose the signal of its age trust. As long as there is no record of spam on your site, you can still use the domain. Where is the location of the site following the resolve? Is it the same for both www and non-www versions of the site? It is an advanced topic to dive into right now, but there are rare cases where sub-levels are used. Type in both the www and non-www URLs to see if both reach one common site in both cases. When the site appears in the browser, take note on whether a common URL finally appears in the browser tab. Checking is the URL shows up at HTTP or https and if there is an issue between the redirections of HTTP and https. To what level is the robot.txt file structured? Are important pages excluded from being indexed by mistake? What about pages whose content is duplicated from being indexed (tags, category, etc.)? Though duplicate pages may not harm you, especially if they’re not done excessively, it is always in your best interest to keep the site clean of any content pages that can be duplicated internally. Through your robots file, you can exclude page to both crawl and index. This file will inform your server what to do when browsers access your site. It can define if users stay on your site or if it should be sending users to other URL structures using mapping commands, either simple or complex. Certain files or folders can be blocked to the public with passwords or from bots. As an example, if you are still in the set-up stage of a site and don’t want it to be accessed, you can block it. When building a Private Blog Network, or PBN, this is very useful to keep your competitors from discovering any backlinks leading to your main money site, and tools crawling your PBN. This hides you PBN entirely when setting up your site. You can read more about Private Blog Networks and how to build them in my PBN guide. Is the core URL structure safe from URL parameters? For example, text in the URL of pages (address bar of the browser) on the site like – ?postid=23345. Implementing a proper structure of your permalinks is very important. This allows Google to understand what is intended by the pages. Having the site’s title and related keywords in the URL will help, but you need to take out any odd-looking URL parameters that appear in them. It can lead to the possibility of thinking people don’t like them by Google, and why should it? You need to have properly structured and planned out sitemap. This will inform the Google bot of the pages on your site, as well as their creation and update dates. The plan for your sitemap needs to be properly structured. A thoroughly planned out sitemap lets the Google bot know which pages users will go to, but also the dates the pages were both created and updated, and how it was done. You can also point out which pages and not important and don’t need to be crawled. From inside the Google Search Console, the Googlebot is called to crawl and index your site. It is important to remember that though Google may look at your sitemap, it is more interested in accessing a raw crawl of your site. Ranging from spidering all of the pages in the site’s database to jumping from one link to another, this helps Google create a link map of your site into its index. This tells the bot which pages are the most important on your site, having the most prominent links. Internally link to you most prominent pages from all the pages on your site is very important. It is also highly important to highlight the pages which have the highest level of traffic and metrics of content and users linked to said pages. Here’s a tip: using keywords you want to use when ranking the target page should be used a text anchor on the linking page when building internal links. This will negate the fear of over-optimizing that you could encounter and worry about when you create off-page links. Be sure to rotate your text anchors amongst the different primary keywords of your target page. Google is OK if the same anchor appears, should your anchors appear in areas that are sitewide such as header and footer. If your site needs sub-sitemaps due to being large, that is also OK. WordPress has plugins such as SEO Yoast that will automatically split the sitemaps. It is essential to check if your site is indexed properly and you can do this inside Search Console. Make sure that every page is crawled and indexed and there aren’t any 404 errors or other page indexing issues, including the AMP (Accelerated Mobile Page) indexing issues. This will only occur if your AMP powered site is submitted to the mobile index. You will know your site it indexed if it shows up as the first result. Your site is “de-indexed” and penalized manually by Google if it does not appear after the search. It is essential to check for either a manual or algorithmic penalty on your site. Google has both a manual webspam team as well as a complex automated spam checking system and algorithm. If any issues related to the site’s profile for ranking are found, Google will send out notices of warnings to the webmasters via the Search Console. There are two different kinds of notices that Google sends, “Action against Site” and “Action against links.” An “Action against Site” notice will result in your site will drop out completely from the SERPs and essentially being de-indexed. If a notice from the manual webspam team inside Search Console messages occurs, there’s not much else you can do other than fixing what you can. Begging Google to put your site back in their index after cleaning everything up would be the best option for the next step. There is no plea you can send if you receive an “Action against links” notice. To fix things, you’ll need to fix links and wait for the re-crawl to happen. You will gain rankings faster and will not have to wait to see any benefits of your SEO fixes since the Penguins algorithm is not real-time. Another way of checking if your site is penalized if you do not have a Search Console account set up is by searching the title of any page or post in quotes in Google to see if the appropriate page/post shows up as the first result. If the appropriate page does not show up, you will need to check how severe the penalty is. Another factor that needs addressing is the number of pages that have been indexed by your site. If there are pages that had not been indexed but should be, you would need to analyze why Google is not indexing them. This data can also be used to compare how many pages that have a rich number of keywords with the thinner pages across your site. You should then measure this data up with the top ranking pages that show up in your selected keyword searches in competing sites as a key ranking factor. Even if a login is not given to access certain areas of your site, getting an SSL certificate is now essential and an absolute must. This helps in boosting your trust and rank. Sites that do provide login areas, such as e-commerce sites, make gaining the certificate even more essential. Chrome users will see a “red screen” when trying to access your site. When auditing the content on your site, there is a simple trick to have better content than competing sites. Write amazing content that will bring in natural links, mentions, real clicks and social votes from others in your niche. This will make you an authoritative figure on the subject, all the while ensuring that every part of your site’s content has been technically SEO optimized properly. Your titles should also be naturally written and substantially different articles (Do not have five different articles covering different combinations and keywords of the same topic. For example “Build an App,” “How to Build an App,” Building an App.” It’s always best and recommended by Google that you combine those into one bigger article.